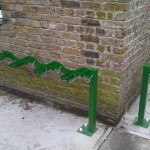 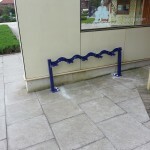 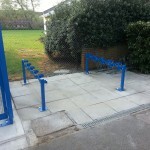 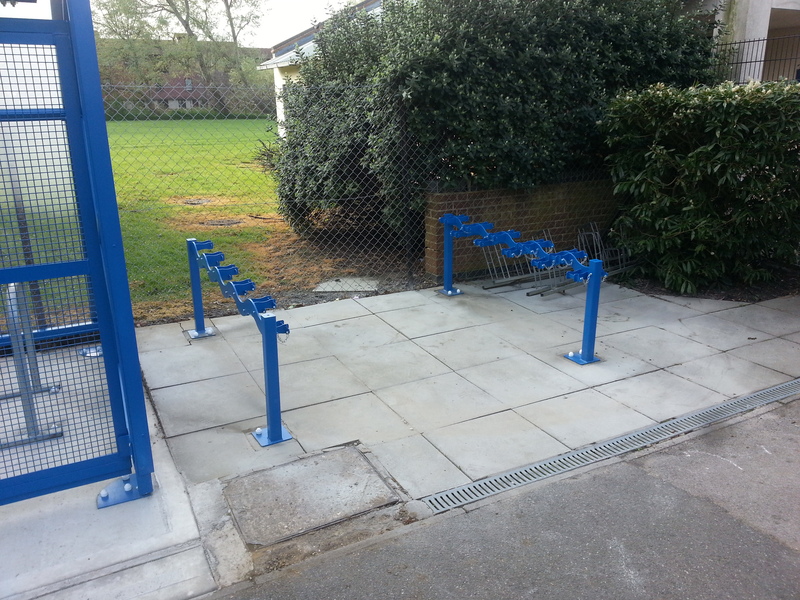 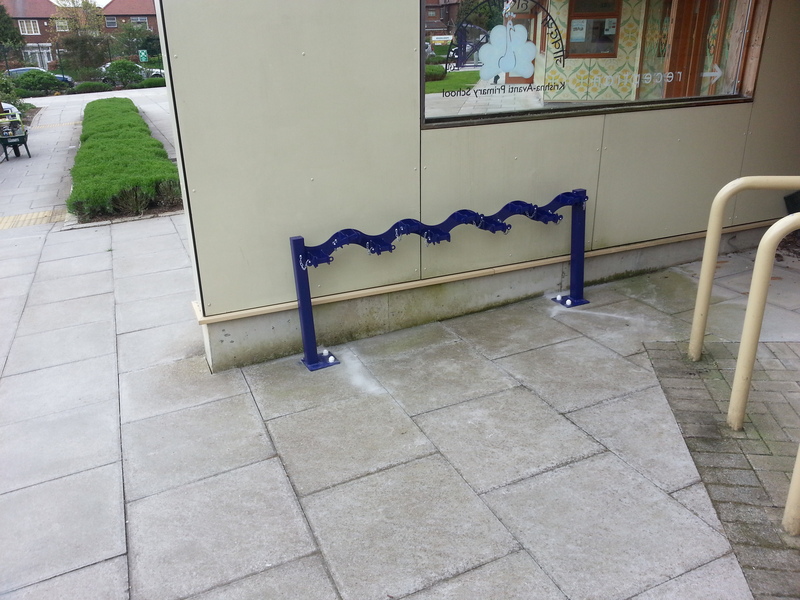 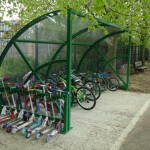 Our scooter racks are manufactured to accommodate either single or double sided scooter storage. 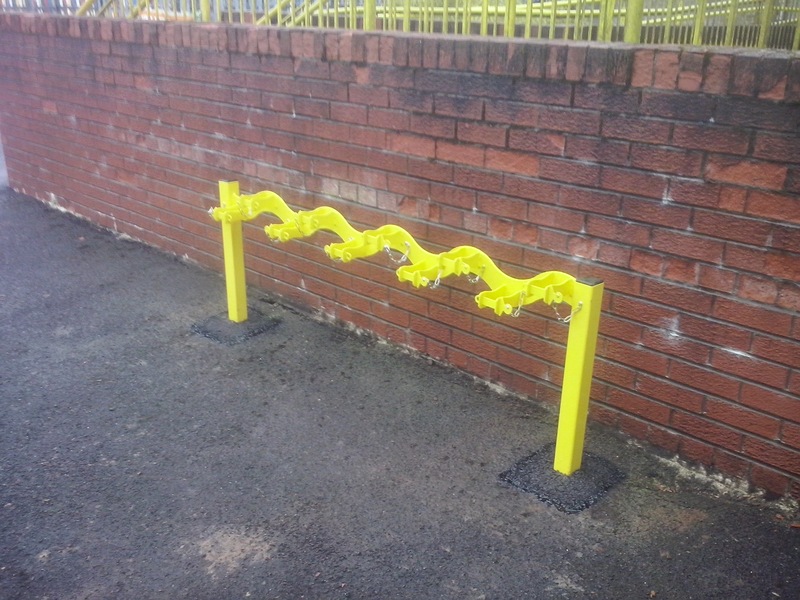 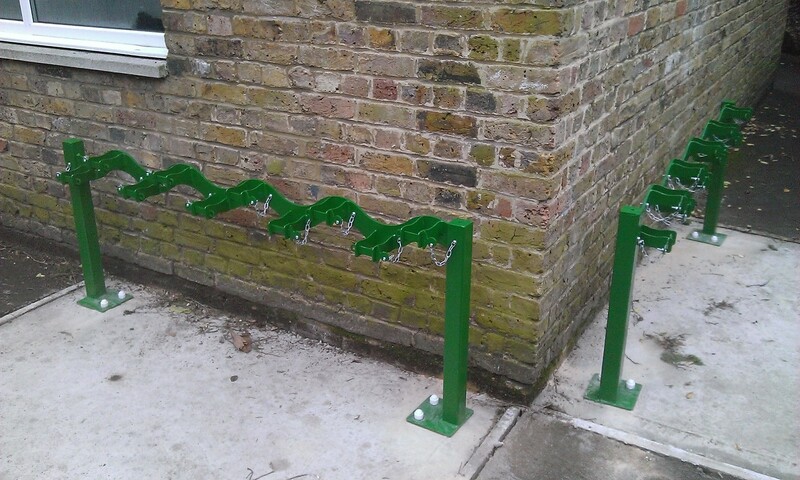 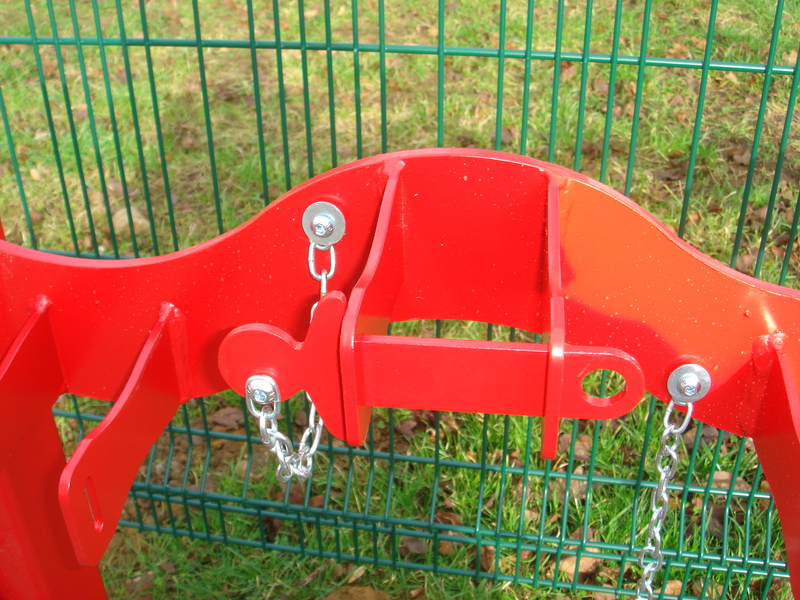 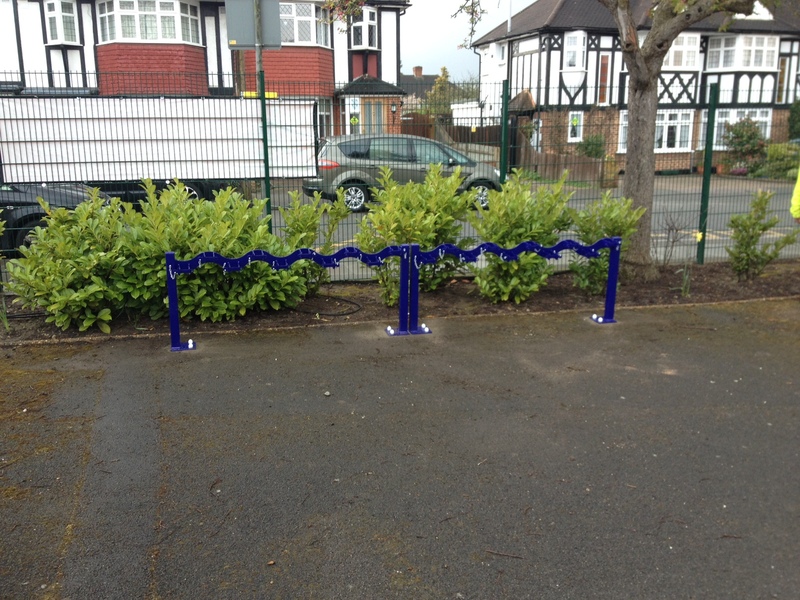 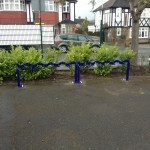 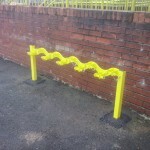 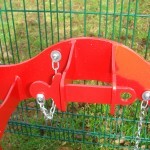 They can be manufactured to any size and are base plate fitted. 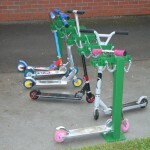 Scooters are often a popular choice for younger children who do not have the confidence for riding their bike to school. 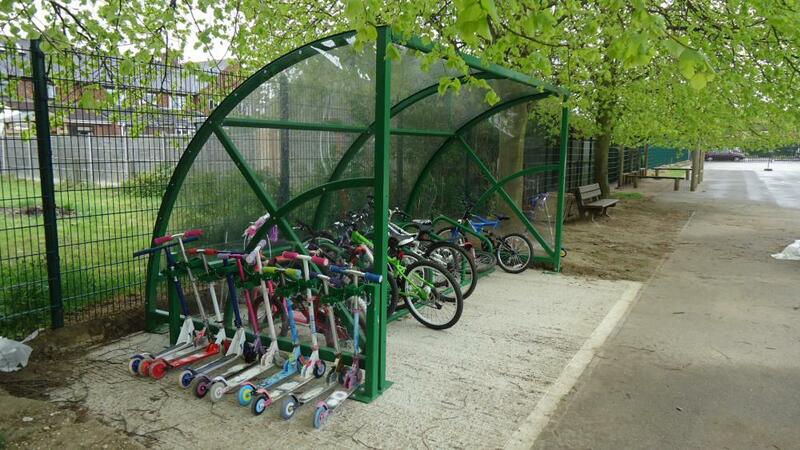 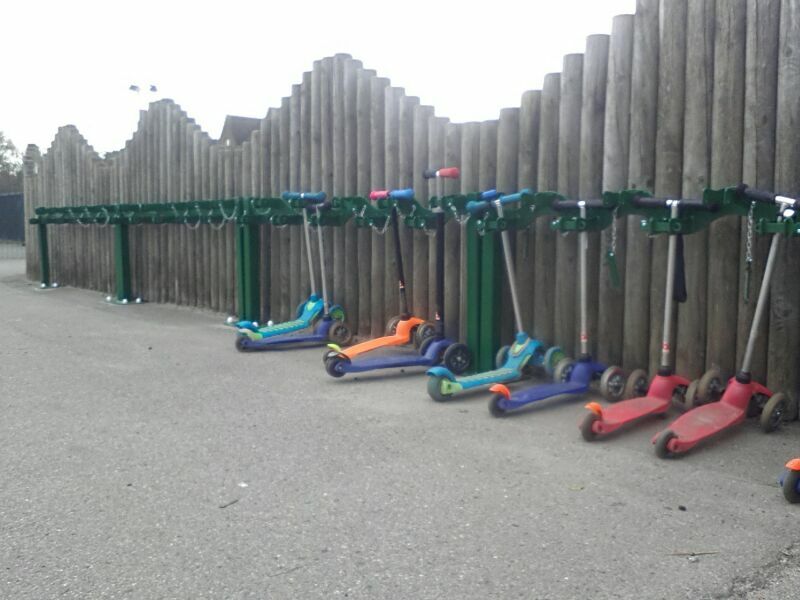 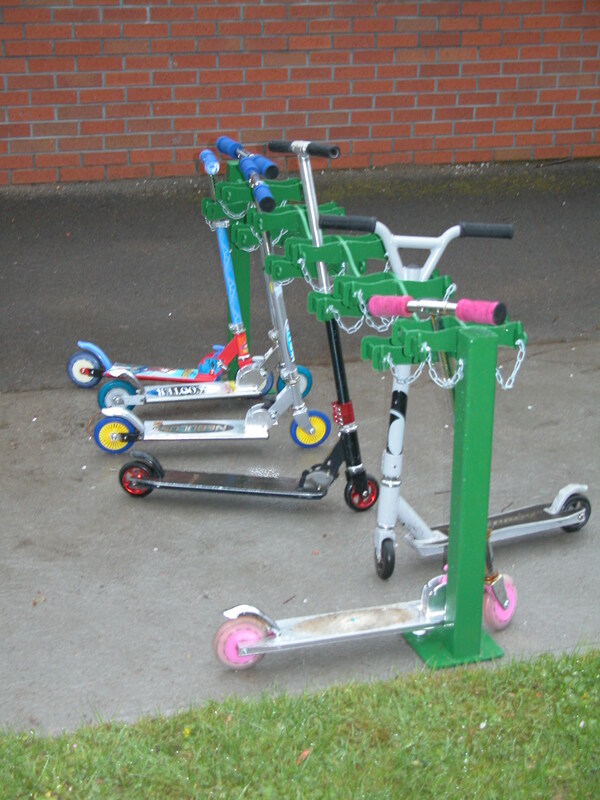 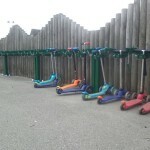 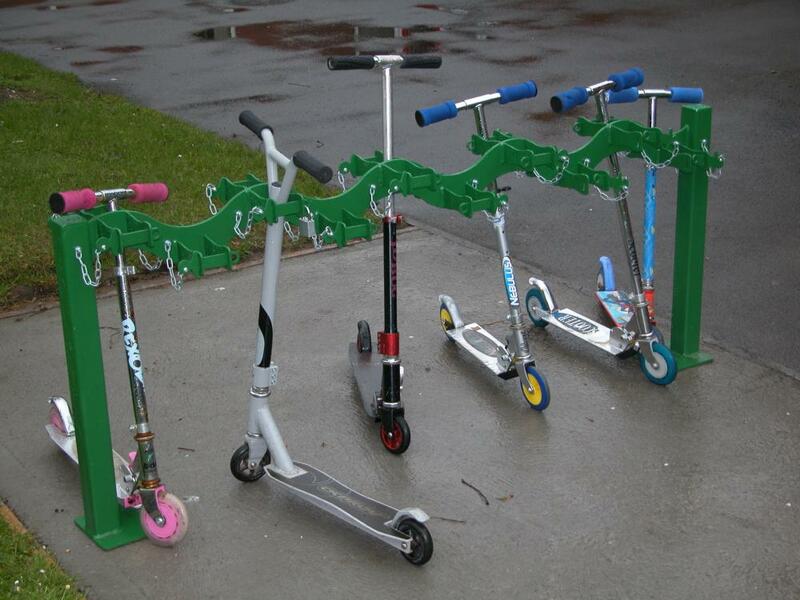 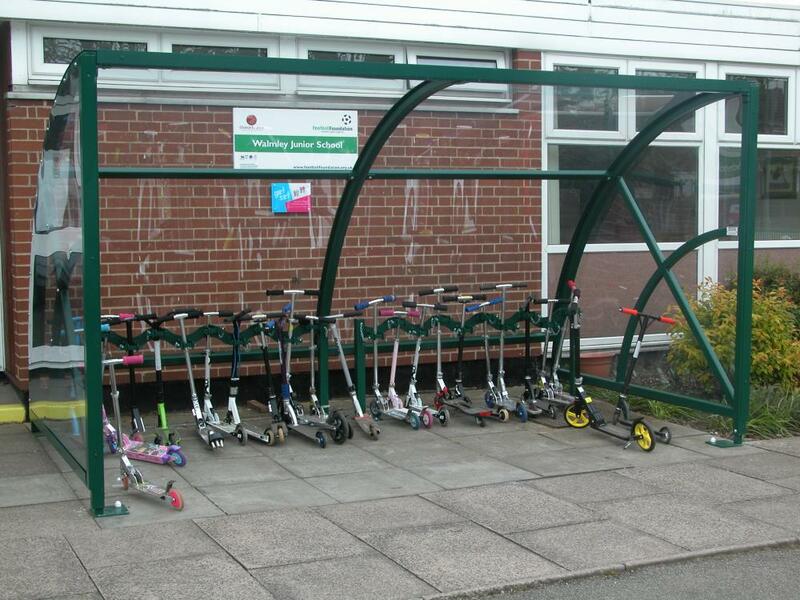 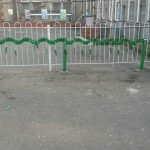 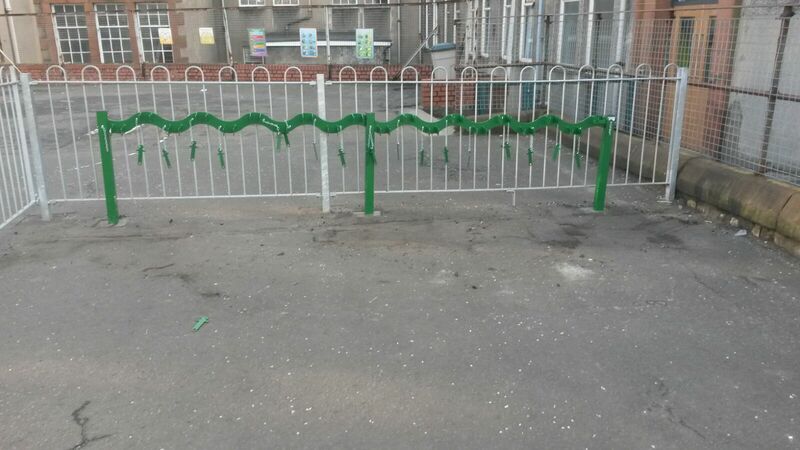 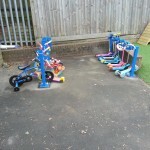 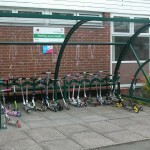 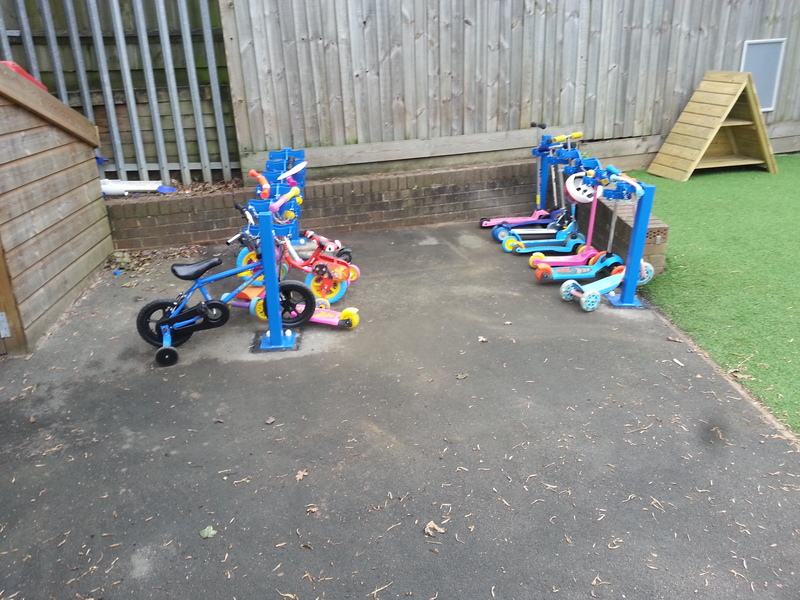 Storing these scooters, can cause problems for schools so dedicated scooter racks encourage sustainable travel in children but keep the scooters secure.